This entry was posted on April 3, 2013 and tagged Cancer, Detoxification, Fatigue, Fibrocystic breast disease, food, Health, Nutrition, Thyroid. Bookmark the permalink. Yes, that slimy weird stuff! Except it’s not slimy. And weird is sometimes a good thing. 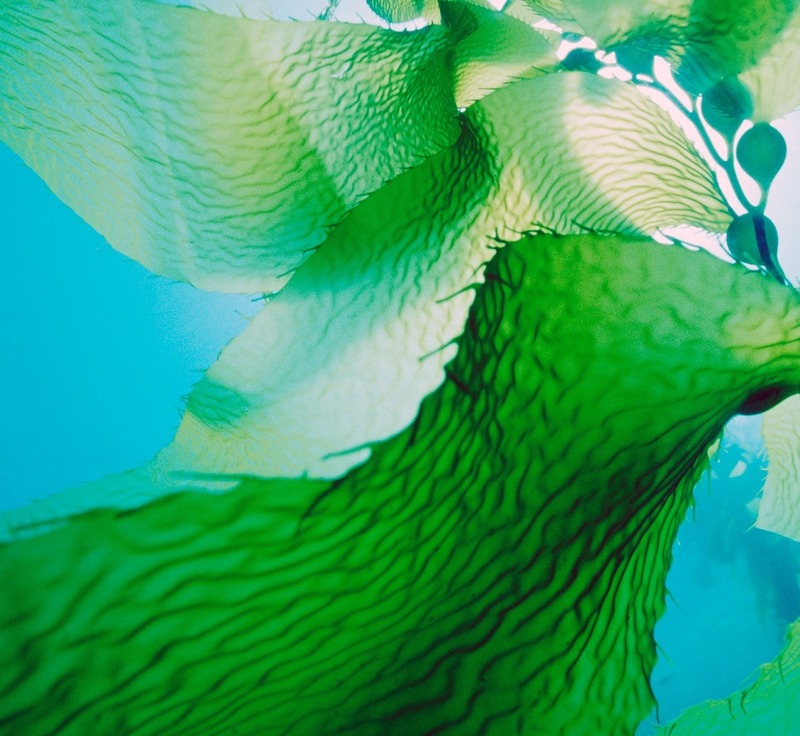 Trust me – sea vegetables are so packed with trace minerals and vitamins, they are nature’s multivitamin in food form. Above and beyond any other food known to man, sea vegetables supply a whopping dose of iodine, a trace mineral essential for healthy thyroid function. People eating the standard North American diet are usually iodine deficient, especially if they restrict salt, which is iodized to prevent deficiency. You just don’t find iodine in many common foods. Iodine deficiency is linked to fibrocystic breast disease, certain forms of cancer, and most notably thyroid disease. Hypothyroidism, a condition in which your thyroid becomes under-active, is common in the Great Lakes region due to the lack of iodine in our soil and the lack of sea vegetables in our diet. While iodine deficiency is not the only cause of thyroid disease, it is the easiest factor to correct. When caught early, hypothyroidism due to an iodine deficiency can often be reversed. Your thyroid is the master controller of your metabolic rate. If it’s underactive, you’ll suffer from fatigue, weight gain, constipation, muscle aches, hair loss and brittle nails. You may also feel chilly all the time, depressed, and “foggy”. Testing for thyroid function is simple and everyone should have it done as part of regular wellness screening. Now back to seaweed. There are many edible varieties. Kelp, or Kombu, is perhaps the most well known sea vegetable. It also contains the most iodine. Dulse, wakame, nori and arame are other varieties to try. You can purchase them dried, giving them a long shelf life. Eating seaweed is easy. Simply add a few pieces of dried seaweed to soups and sauces. Rehydrate pieces of dried seaweed, then slice and add to salads. Or add it to a stir-fry. If you want to hide it in your food, add a little kelp powder to smoothies for a daily dose of iodine. Make sushi.. or dine at a Japanese restaurant where you’ll find seaweed in salads, soups and those nifty rolls. Yum. It’s best to buy seaweed that is certified organic, which tells you it was grown in a relatively clean part of the ocean. Seaweed concentrates minerals from sea water, including heavy metals, so buying it from a reputable source is important. Check out Maine Coast Sea Vegetables for products and recipes. If you suffer from symptoms of hypothyroidism, contact your naturopathic doctor to have your thyroid tested. « Hooray for Healthy Eggnog!